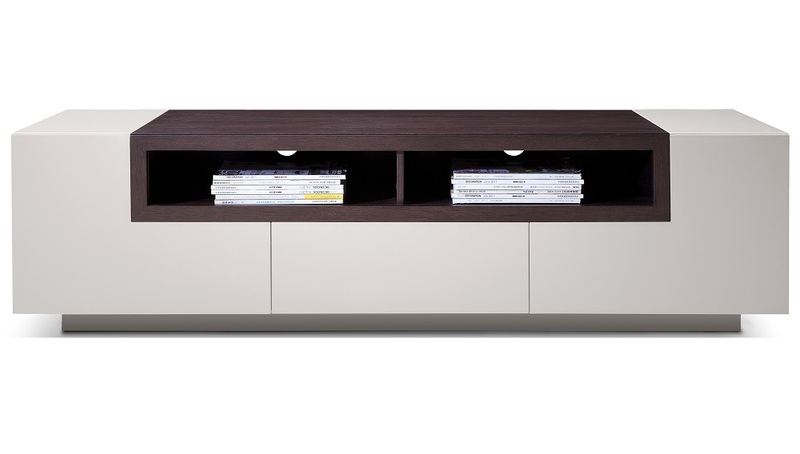 Contemporary TV stand with a beautiful combination of light grey high gloss .Perfect for any kind of room setting. FEATURES: -Soft closing tracks on the drawers. -Plenty of storage space for your media.